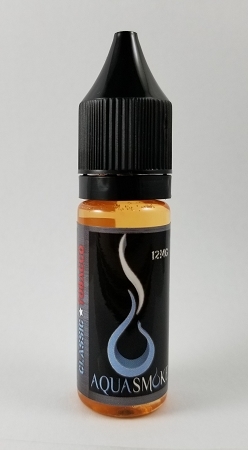 Home > Indiana Compliant E-Liquid > Aqua Smoke E-Liquids > AquaSmoke Classic Tobacco 15ml "IC"
1. The hallmark of our premium brand. Instantly recognizable for any former or current smoker. You will taste the love and attention put into this blend. Smooth and light tobacco flavor. This is the ideal bridge between your old smokes and the brand new world of vaping that will leave your cravings at bay and reignite your senses!